Currently the lowest price home in Terra Vista3 BEDROOM, 2 BATH, 2 CAR GARAGE!! 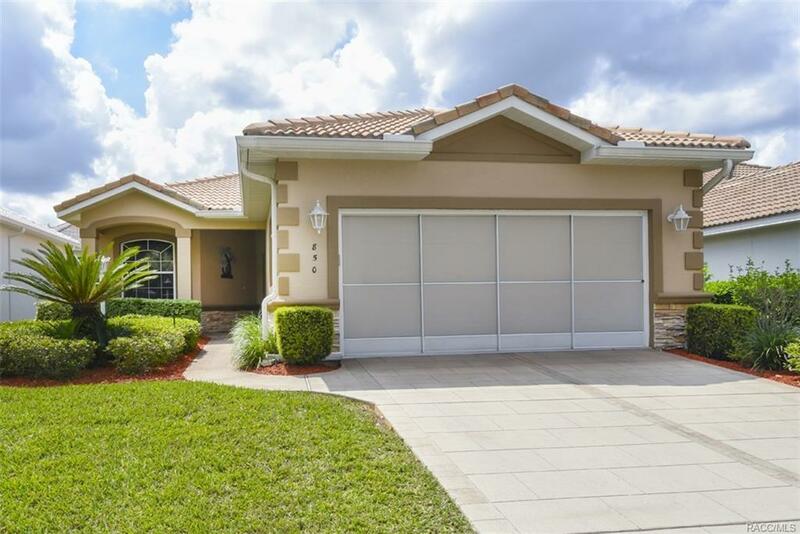 Lovely, light, and spacious home in beautiful Terra Vista Community. Maintenance free living at its finest. Open concept. Decorator fans and lighting. Updated appliances, maple cabinets, breakfast bar, pantry, master suite with 2 walk-in closets, Corian counters. Plant shelves. Vaulted ceilings. Tile floors in great room, kitchen, dining, baths& entry. Perfect outdoor living area with screened in lanai. Wood flooring throughout the bedrooms. This house is a MUST SEE!! All Citrus Hills Golf and Country Club membership privileges. Directions: 486 To Terra Vista Entrance, Through Guard Shack Take First Right Onto W. Skyview Crossing. Home On Left.